A loan of $125 helped to buy 2 bags of maize and 3 baskets of fish. Ayawa is a married woman aged 64. She lives in the Baguida neighborhood and has no child to support. Ayawa sells fish and akassan balls. She gets her supplies three times a month at the local market. Ayawa is requesting this loan to buy bags of corn and fish. 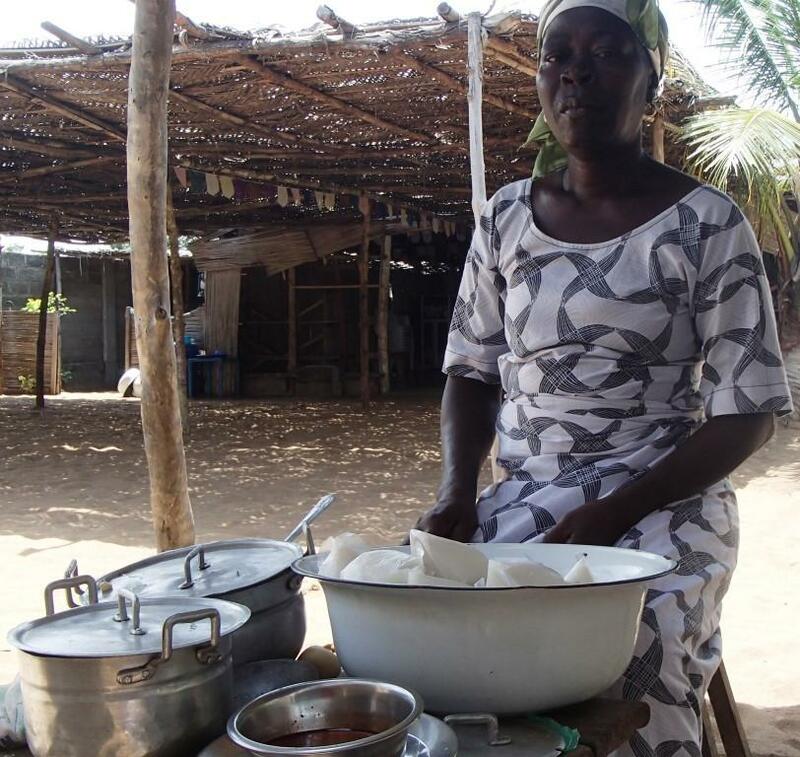 Ayawa hopes to make profits to take care of her daily needs and to pay for her children's school tuition. Ayawa est une femme mariée âgée de 64 ans. Elle habite le quartier Baguida et n’a aucun enfant en charge. Ayawa vend du poisson et des boules d’akassan. Elle s’approvisionne trois fois par mois au marché. Ayawa sollicite ce prêt pour acheter des sacs de maïs et du poisson. Ayawa compte réaliser de profits afin de s’occuper des besoins quotidiens et payer convenablement la scolarité de ses enfants.